Weddings are a very special day and they should be commemorated with an magnificent celebration and awesome pictures. If you are just getting married then you probably want to do everything right. Making your own wedding hashtag is a good idea because it will help people remember your wedding long into the future! In this post, we'll cover unique wedding hashtags on Instagram that you can use for your big day. We'll also cover the most popular trending wedding hashtags, so your wedding business can get the most engagement on posts. Ready? Here comes the bride! Your wedding hashtag should be something special. You can start with each of you names. Add some puns or cute ways your names go together. You can search for the hashtag you come up with on Instagram and make sure it has few uses so you can dominate it with the beautiful photos from your wedding! Sometimes it can be hard to come up with clever hashtags for and your spouse’s last names. In that case, I suggest using a simple #Mr&Mrs hashtag. If your last name is Connolley, then you could do a #Mr&MrsConnellyForever type hashtag. This may seem somewhat basic, but if you use your last name, its unlikely that there are other posts using the same hashtag. It will be easy for you and your friends to find your photos in the future if you use a unique hashtag. 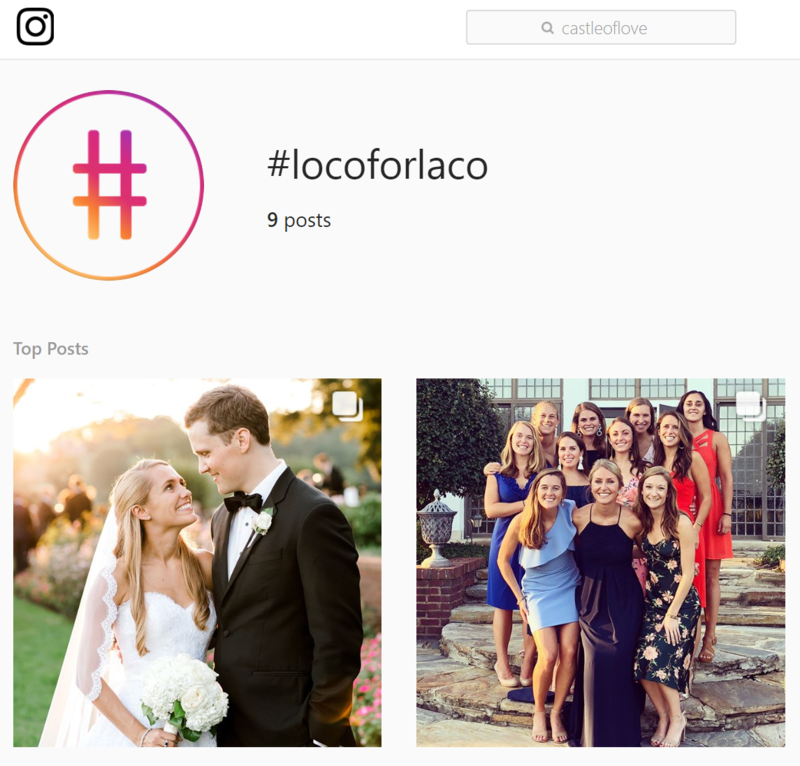 You can see from the results for #locoforlaco that the hashtag has only been used 9 times total on Instagram. You want a hashtag that isn’t commonly used for other things so you can really own it! After you decide what your wedding hashtag is going to be, you want to add 29 other popular wedding hashtags to your post so it gets as much engagement as possible. Instagram allows you to post up to 30 hashtags on every photo. We recommend coming up with a list of 30 hashtags including your custom hashtag to post after your photos. Posting 30 hashtags is important because there are a lot of people who look on instagram for wedding hashtags for inspiration. If you use popular wedding hashtags then your photo will come up in the search results and you will receive better engagement on that photo. 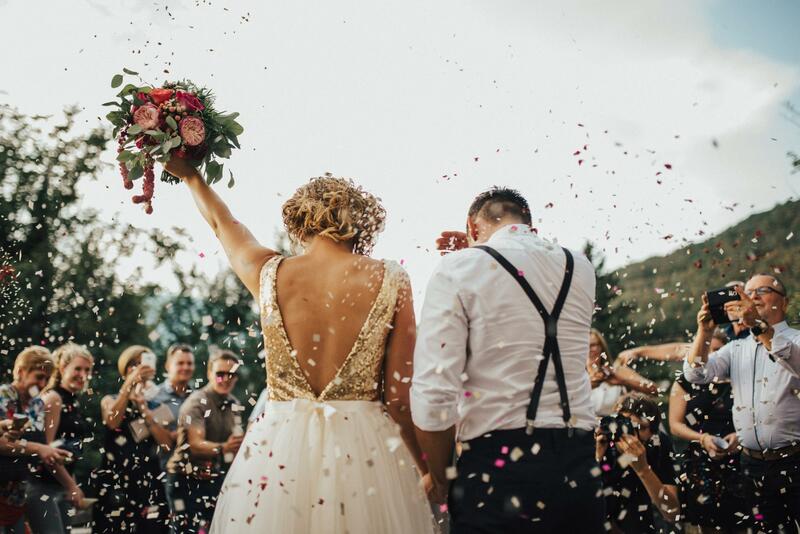 If you are planning your wedding then it is a good idea to look at other people’s weddings and get inspiration from the photos they take and their event. One of the leaders in the wedding industry is The Wedding Bee. They host a blog that is chalk full of great ideas to make your day extra special. They also have an Instagram page @weddingbee where they post some beautiful wedding photos. As you are doing your research, you can even screenshot some of your favorite photos and work with your photographer to recreate the photo or a different version of it with your spouse.